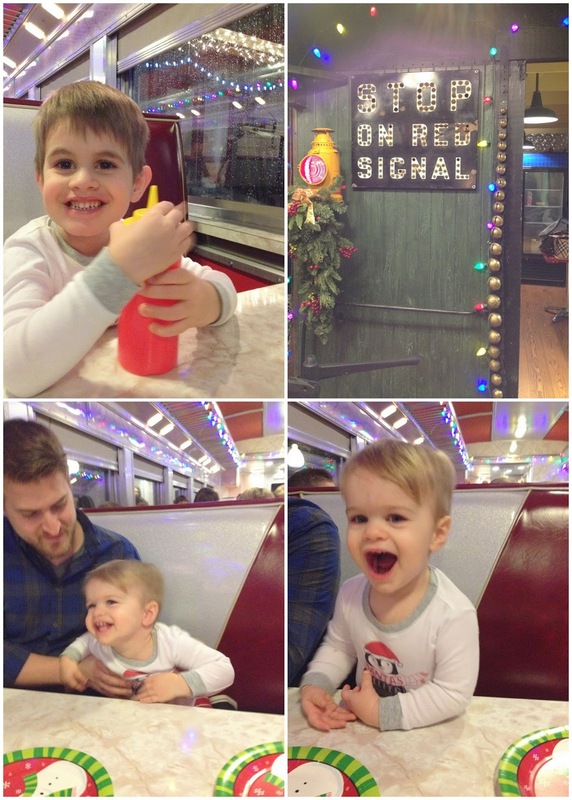 On Monday night, we were invited to a Polar Express party. . . complete with pajamas, cookies, hot chocolate, and great friends! The owner of our favorite ice cream spot in town (also the doctor who took out my wisdom teeth) bought a couple of old train cars, and he has remodeled them to become a restaurant. One of the train cars will be for casual dining, and the other for fine dining. 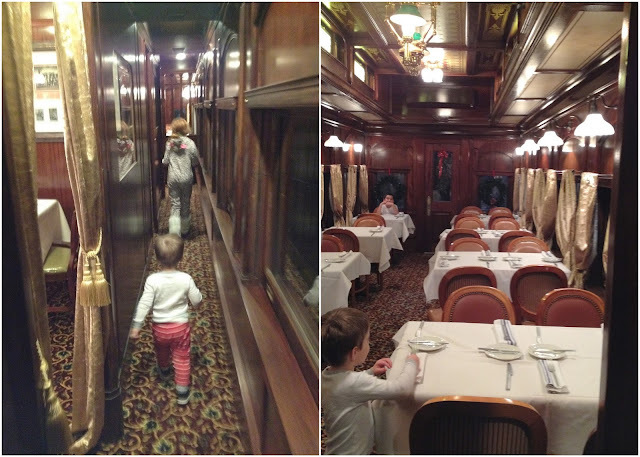 We were very excited to get a peek inside these trains for the first time, and they exceeded our expectations! Nolan and Ephraim are crazy about trains right now, so it was perfect timing. 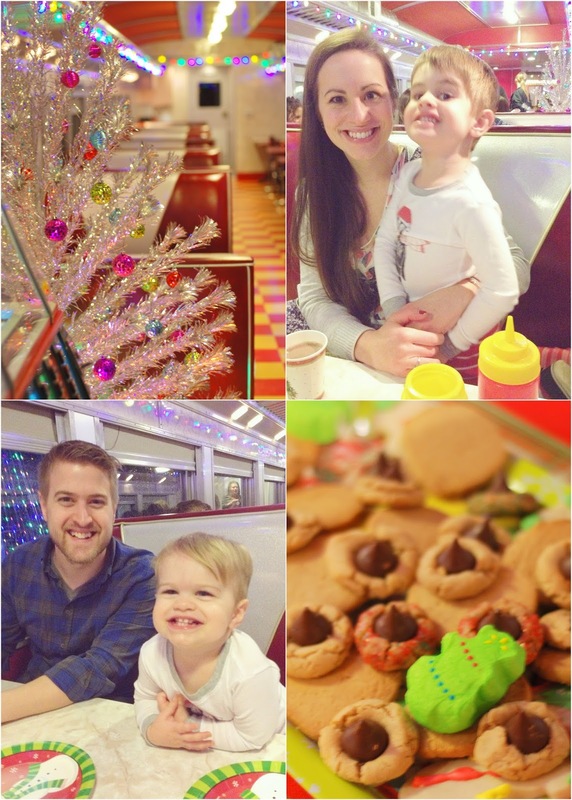 I loved the red and silver retro tables and the colorful, bright Christmas lights! 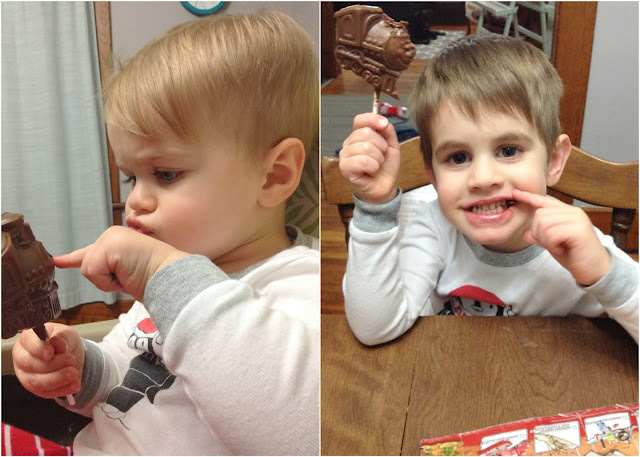 After eating, we chatted with friends, and the boys made a couple of cute train crafts. We climbed aboard the fine dining train as well. It was like stepping back into the early 20th century! And it was SO fancy! I can't wait to eat there someday. Photos from the outside as we were leaving. The brand new rail station that joins the two trains together. What a magical night! I'm so grateful for the opportunity to do things like this with the boys, and I know these are the moments in which the best memories are made. What a fun night. Those cookies man!! Such fun!! Merry Christmas to you and your family! !